George Weah shortly after becoming President in 2018 declared the country “broke” and depleted by bad governance. The President of Liberia, George Weah has asked citizens to constantly pray for the recovery of the country’s economy. The Liberian economy is struggling to survive after years of lack of growth with high youth unemployment rate. “I inherited a country that is very broke, depleted by political malfeasance. 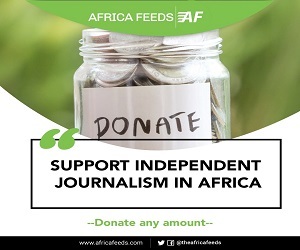 We have to make sure that the things that happened will not happen again,” Weah said. He was speaking during a state visit to France’s capital Paris. President Weah’s religious advisor Rev M Emmanuel Nimely, said in a statement that citizens must pray for two hours every day for God’s intervention. He said that intervention is needed to resolve Liberia’s economic problems the government calls enormous. Christians according to the statement should hold an all-night prayer vigil on the last Friday of every month for God’s blessing on Liberia. The prayers according to Nimely should help resolve Liberia’s “infrastructure and economic developmental” challenges. 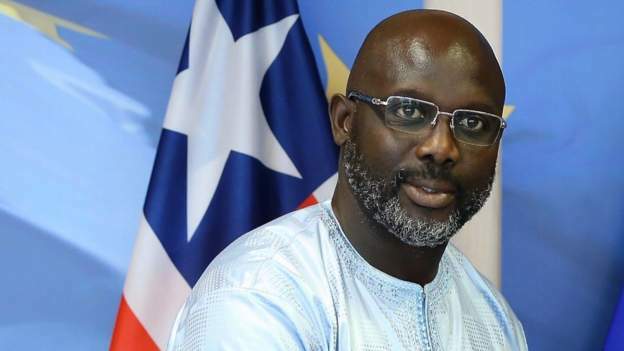 George Weah took over from Ellen Johnson-Sirleaf in January 2018 after winning the presidential election in 2017, defeating the incumbent government. He has recently defended his handling of affairs since becoming president in his State of the Nation address last month. Many Liberians last month staged a protest demanding to release of a report on some missing money. The country is yet to recover some $104million worth of bank notes that went missing last year. The disappearance of huge consignments of the money printed abroad in China and Sweden shocked many Liberians. Liberia’s economy was devastated by a deadly Ebola epidemic in 2013-2015 following years of civil wars. Liberia was Founded 170 years ago by freed slaves.